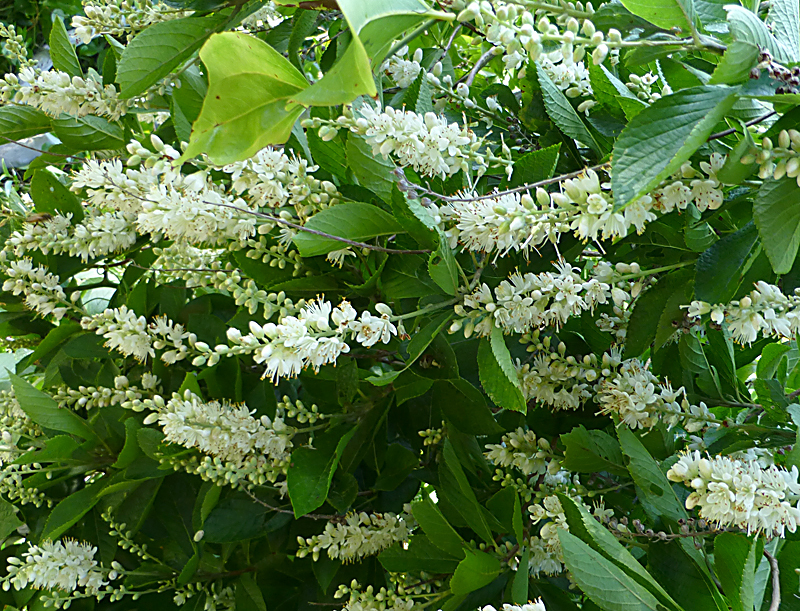 Sweet Pepperbush is a tall, leafy shrub which grows near coastal wetlands or swamps, which is why I’ve seen it on the Red Maple Swamp Trail at Fort Hill and the Spring Loop Trail at the Wellfleet Bay Wildlife Sanctuary. It is powerfully scented, so you can’t miss it! The white flowers are 1/3″ with 5 petals and 10 long stamens on 8″ upright spikes. You can see a close-up of the spikes and a photograph of the entire shrub in the 2 blog photographs. They are really pretty. 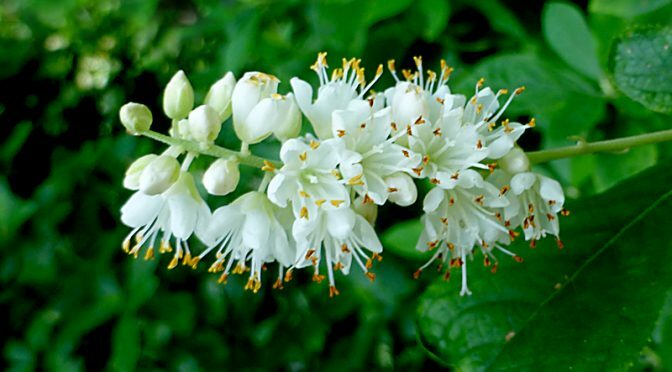 Have you ever seen a Sweet Pepperbush? I think I’ve seen these; now I’ll look harder!